When the European Economic Community was formed, the initial focus was on the removal of barriers to trade. Differences in technical requirements were seen to restrict trade and so initial European measures in the food law area focused on agreeing harmonised controls to replace different national measures. Initial measures included veterinary requirements for fresh meat (1963) and agreed lists of colour additives (1964). The process of adopting harmonised measures was however slow. The Internal Market programme (1985-1992) gave a significant boost to the number of agreed measures but also created some additional structures with new or updated 'framework' controls for certain sectors (e.g. 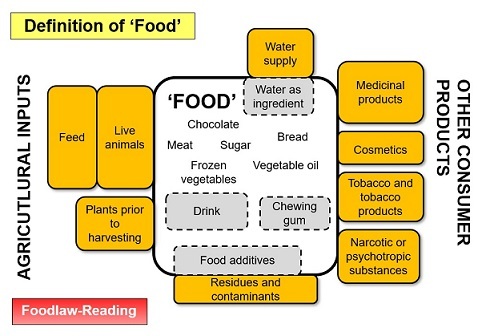 food additives, contaminants, foods for particular nutritional uses). Throughout this period, the focus had been on removing barriers to trade. With the increase in trade, there were increasing issues linked to the safety of food products. The BSE crisis (early 1990s) in the UK was a major concern for food safety across the EU. The close relationship at that time between the process of scientific risk assessment and the more political risk management decisions was considered to have been a factor in the drop in consumer confidence in the control systems. Other safety issues occurred in other member states, most notably a dioxin contamination problem in Belgium (1999) linked to contaminated animal feed. There was a slow response from the authorities and a lack of records throughout the food chain to enable the detection and removal of suspect food - both in Belgium and in neighbouring countries where there were also contaminated products. As a result of these issues and with the creation of the World Trade Organisation (WTO) in 1995 with its Agreement on Sanitary and Phytosanitary Measures (SPS), it was recognised that the European Union needed to have a unified measure setting out more fundamental food law requirements and establishing systems for risk assessment and risk management. 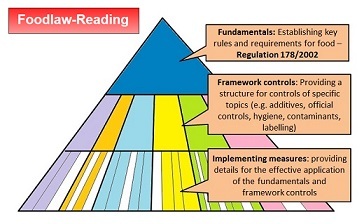 A White Paper on Food Safety was published by the Commission in 2000 and was quickly followed by a proposal for a general food law regulation. This was adopted quite rapidly and was published as Regulation 178/2002. Chapter I: Scope and Definitions - establishes the general objective of providing a 'high level of consumer protection'; covers both food and feed; includes the definitions of 'food' and 'food business operator'. Chapter II: General Food Law - includes the major offences of selling food which fails to meet food safety requirements or which is presented in a misleading manner. Chapter III: European Food Safety Authority - establishes EFSA as the risk assessment body for food matters for the EU and sets out the key principles for its operation. Chapter IV: Rapid Alert System, Crisis Management and Emergencies - gives an updated legal basis for the Rapid Alert System for Food and Feed (RASFF) and for the authority for measures to be taken in a crisis or emergency. For the Commission's page on this Regulation, see: General Food Law. For the European Food Safety Authority, see EFSA. As part of the general 'Regulatory Fitness and Performance Programme' (REFIT), the Commission undertook a 'Fitness Check' of Regulation 178/2002 based on a mandate published in early 2014. The report on this 'Refit Evaluation' was published in January 2018. In April 2018 the Commission published a proposal to make amendments to Regulation 178/2002. This forms the basis of discussions currently in progress on updating the Regulation. Provides the justification and objectives of the study - published 2014. The complete report of the study published in January 2018. Also available is an 'Executive Summary'. Appendices to the report can be accessed from the Commission page: Fitness Check of General Food Law. COM/2018/179 : Proposal for a REGULATION OF THE EUROPEAN PARLIAMENT AND OF THE COUNCIL on the transparency and sustainability of the EU risk assessment in the food chain amending Regulation (EC) No 178/2002 [on general food law], Directive 2001/18/EC [on the deliberate release into the environment of GMOs], Regulation (EC) No 1829/2003 [on GM food and feed], Regulation (EC) No 1831/2003 [on feed additives], Regulation (EC) No 2065/2003 [on smoke flavourings], Regulation (EC) No 1935/2004 [on food contact materials], Regulation (EC) No 1331/2008 [on the common authorisation procedure for food additives, food enzymes and food flavourings], Regulation (EC) No 1107/2009 [on plant protection products] and Regulation (EU) No 2015/2283 [on novel foods]. Published April 2018. With the issues arising from the BSE crisis needing to be resolved (and before the Belgium dioxin crisis), the Commission had started consideration of how to provide top-level legislation for food law. This 'Green Paper' was a discussion document on options issued in April 1997. A stage in the process of moving to a new system for scientific advice. A report published in December 1999. This Commission document set out the programme of work designed to modernise the food law structure for the European Union. A major element of this was the plan to adopt a new general food law. Adopted by the Commission in late 1999, it was published in January 2000. The original proposal issued in November 2000.